Efficiency, high-performance, and sustainability are recent aspects of real estate that are slowly starting to become the norm. Environmentally-conscious behaviors and attitudes run rampant in current generations, impacting the real estate market’s focus. 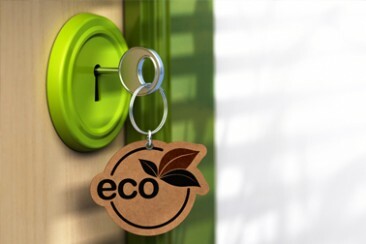 Here are ten green aspects of society that justify why real estate professionals ought to prioritize and emphasize environmentally friendly efforts in their practice. Physical every day messages about environmental responsibility like recycling and compost bins, “all-natural” and “organic” labels, etc. The Millennial generation hold environmental issues close to heart and incorporate the lifestyle completely and willingly. This group of people creates a large presence in the community that shifts the focus and values of others. Environmentally-conscious transportation choices like walking, biking, and public transit represent desirable options rather than always driving everywhere. A neighborhood’s consideration and accommodation to these transportation alternatives amplify people’s attraction to the area. Minimum energy efficiency standards have been adopted by almost every state. Many building codes even require old systems be replaced with more efficient counterparts. Cash grants, tax deductions, and rebates ease the cost of upgrades and support renewable energy and energy efficiency. Major national certifications dominate the home industry by making certified homes a powerful incentive. Energy Star, Leadership in Energy and Environmental Design (LEED), and National Green Building Standard (NGBS) are the three major companies behind this. Energy-efficient homes experience less mortgage defaults. The looming uncertainty of mortgage risk is reduced for high-performance homes. Advancement of technology into mobile phones, apps, smart home tech, etc. has become increasingly popular and available for a majority of people. These advancements remain conscious of the resources they utilize and ultimately help overall performance for homes and businesses. Greater collection of data and processing of home improves are increasingly available for analysis, such as advice for water efficiency, heating and cooling, security, health care, and overall facilities management. New Sustainability Program put forth by the National Association of REALTORS® emphasizes importance of environmentally friendly efforts in real estate.